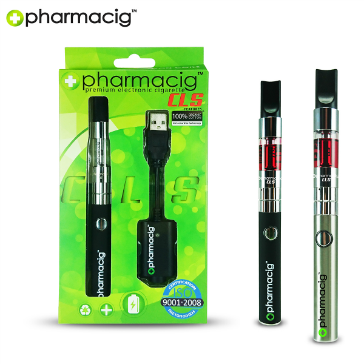 The Pharmacig CLS is a very durable and high-performing electronic cigarette that is visually appealing and easy to use. The Pharmacig CLS is quite unique because it appeals to new and experienced vapers alike. We proudly present one the best values in vaping - the Pharmacig CE5 BDC ecigarette kit brings together precision engineering and quality materials for a absolutely flawless vape. 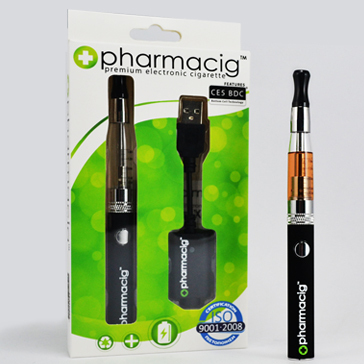 A top quality 650mAh battery coupled with a high quality CE5 BDC clearomizer, the Pharmacig CE5 BDC kit delivers very respectable clouds and comes with a ridiculously low price tag.